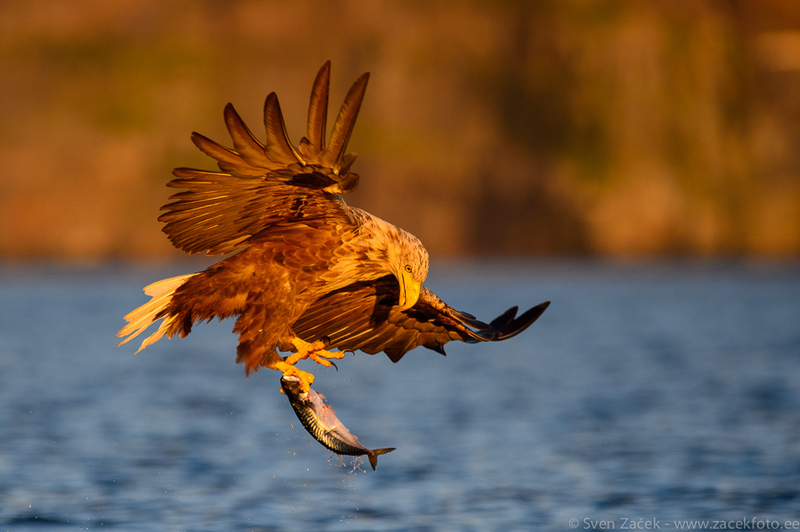 After a successful dive the eagle almost dropped the fish, but a short glimpse and little help from the other leg ensured a happy ending for the eagle. I was able to enjoy the pleasures of 1o frames per second. Photo info - Summer: : Nikon D4 + Nikkor 400mm F2,8 VR + Nikkor TC-17EII. F5, 1/2000, ISO 800.